Launches elevated corporate social responsibility commitment to inspire makers and innovators to create a more sustainable world. 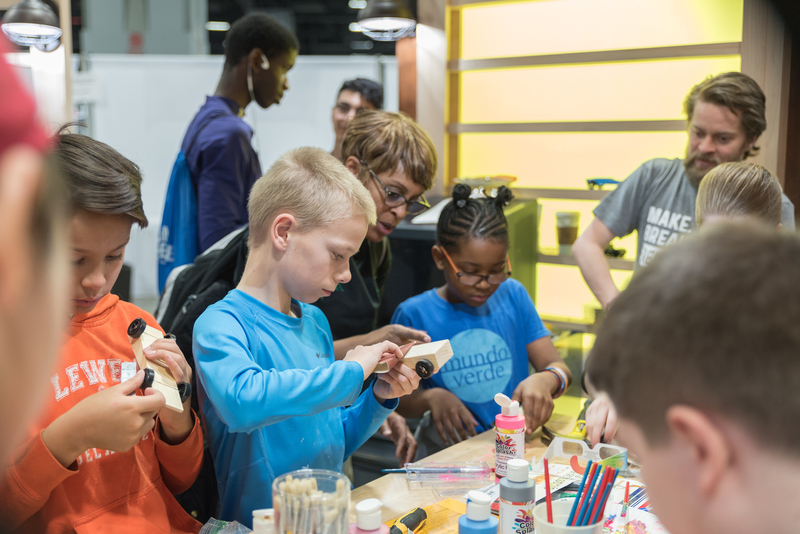 Announces partnership with Discovery Education and the STEMIE Coalition to empower next generation of young makers. Hosts New York students at traveling Makerspace with sports legend Joe Gibbs and NASCAR driver Erik Jones at New York Stock Exchange event today. NEW BRITAIN, Conn., May 15, 2018 – In celebration of its 175th anniversary, Stanley Black & Decker (NYSE: SWK) has announced a refreshed corporate social responsibility strategy aligned with the United Nations’ 2030 Sustainable Development Goals and designed to inspire makers and innovators to create a more sustainable world. To celebrate the milestone, Stanley Black & Decker will ring the opening bell at the New York Stock Exchange this morning, where it will concurrently launch a new partnership with Discovery Education and the STEMIE Coalition to bring a stronger “maker”-focused curriculum into the classroom. 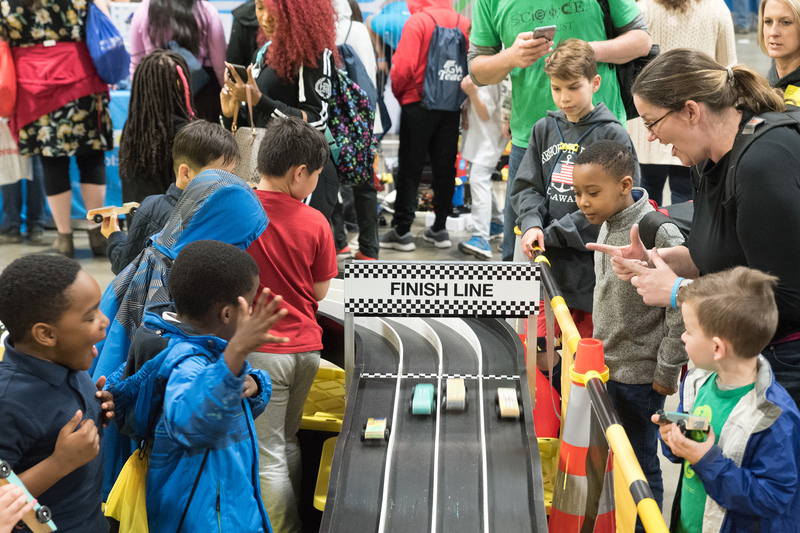 The three partners are also hosting two classes of New York students at the New York Stock Exchange, inviting them to participate in STEAM-focused educational activities at Stanley Black & Decker’s new mobile Makerspace and interact with sports legend Joe Gibbs and NASCAR driver Erik Jones. As the pace of technological change – particularly digital transformation – advances at an exponential rate, individuals, businesses, governments and society as a whole are facing challenges navigating this change. 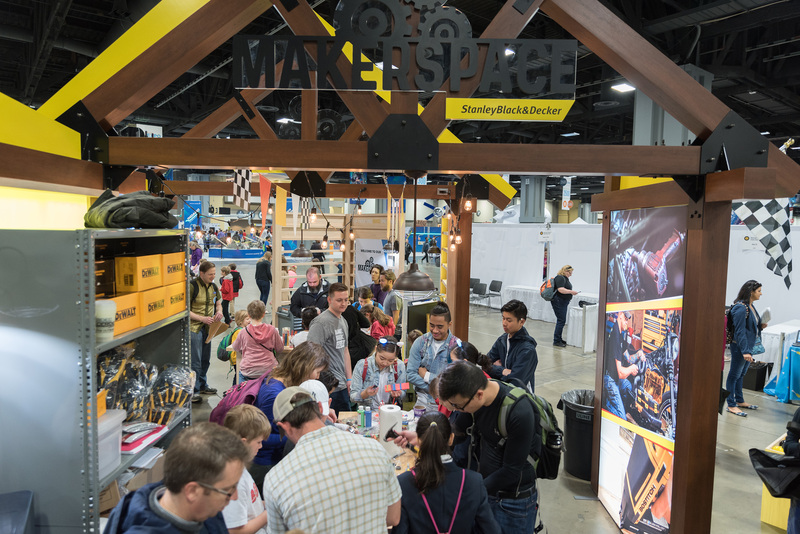 Stanley Black & Decker’s commitment to empower the next-generation of makers, creators and innovators is focused on helping today’s youth develop the skills necessary to compete in this dynamic landscape. Stanley Black & Decker’s traveling makerspace. 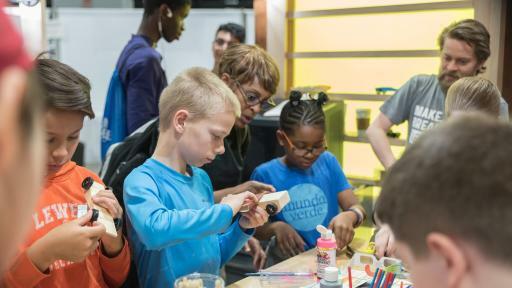 Young students experience the “maker sprit” with hands-on activities. 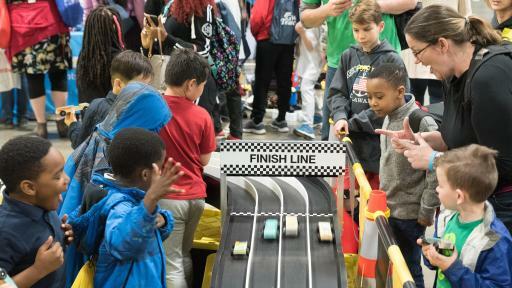 Excited children witness their car creations in action at Stanley Black & Decker’s traveling makerspace. Empowering makers and creators to thrive in a changing world: Enable 10 million creators and makers to thrive through programs that upskill Stanley Black & Decker employees who may be displaced by technology and empower everyday citizens with vocational training, STEAM education and access to maker spaces. Creating a more sustainable world: Positively impact the environment through the company’s operations by reducing our environmental impacts related to GHG emissions, water and waste. Already, the company’s long-term environmental sustainability goals have been approved by The Science Based Targets initiative. Stanley Black & Decker is partnering with Discovery Education and STEMIE to build a Stanley Black & Decker maker movement program, a new Science, Technology, Engineering, Arts and Math (STEAM) curriculum that will transform student learning by inviting students and educators nationwide to explore numerous disciplines through building, making and doing. 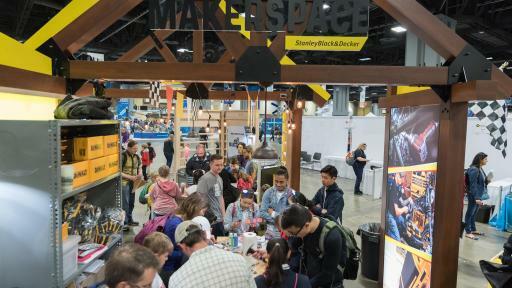 As part of the Stanley Black & Decker maker movement program, Discovery Education and STEMIE’s unmatched STEAM curriculum development expertise and classroom reach will provide students with opportunities to learn about diverse technical and engineering careers in context, connecting them with examples of real world application. Young innovators will engage in a virtual field trip, maker activities and a national student challenge. The curriculum is currently in development and will be introduced to schools in the U.S. later this year, with plans to expand the collaboration in the coming years. This program complements Stanley Black & Decker’s existing maker-focused efforts that include Makerspace collaboration initiatives with universities and other organizations, global apprenticeship programs, sponsorship of WorldSkills International, and the company’s recent announcement of its Manufactory 4.0 initiative that includes job retraining efforts. Stanley Black & Decker (NYSE: SWK) is a $13 billion revenue, $20+ billion market capitalization, purpose-driven industrial organization headquartered in New Britain, CT, where it was founded 175 years ago. With 58,000 employees in more than 60 countries, the company is for the makers and innovators, the craftsmen and the caregivers, and those doing the hard work to make our world a better place. Stanley Black & Decker operates the world’s largest tools and storage business, featuring iconic brands such as BLACK+DECKER, Bostitch, CRAFTSMAN, DEWALT, FACOM, Irwin, Lenox, Porter Cable and Stanley; the world’s second largest commercial electronic security company; and operates a leading engineered fastening business, as well as Oil & Gas and Infrastructure businesses. Learn more at www.stanleyblackanddecker.com.